Many struggle with the complex immigration processes and accessing support as they seek sanctuary. Revive provides free practical and integrated support to refugees and people seeking asylum, regardless of race, religion, gender, sexuality, disability, age or beliefs. 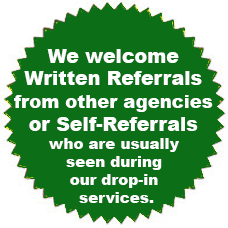 Support and service at Revive include assessment, information, advice and signposting according to each individual needs. Services Directory, which will help you to find services in your local area. Revive has authorization from the Office of the Immigration Services Commissioner (OISC) to provide immigration advice. However, Revive cannot change decisions made by the Home Office or UK Border Agency (UKBA) about someone's case. Although Revive can advise on rights and entitlements and the meaning of laws, we do not provide legal advice or legal representation, but can provide a list of qualified legal representatives.